胡志龍師承名鋼琴家陳泰成、陳宏寬與 Arthur Greene 教授，並屢次於國際大賽中獲獎，包括義大利摩諾波里國際鋼琴大賽，安道爾國際鋼琴大賽，美國密西根大學協奏曲比賽，日本高松國際鋼琴大賽與聖荷西國際鋼琴大賽。除了頻繁的鋼琴獨奏會外，亦經常應邀與國內外各大樂團與室內樂團合作演出，與其合作過的指揮家包括涂惠民、陳澄雄、陳樹熙、鄭立彬、Kodkani-Laemmli, Ann Krinitsky, Shunsaku Tsutsumi, Nicoletta Conti, Kenneth Kiesler, Nuvi Mehta, Anthony Quartuccio, Robert Seebacher. A native of Taiwan, pianist Chih-Long Hu‘s performance career was launched after receiving honors including the Taipei National Concert Hall Arising Star, the Chi-Mei Artist Award, and prizes from the Mauro Monopoli International Piano Competition in Italy, the Concurs International De Piano D'Escaldes-Engordany in Andorra, the Takamatsu International Piano Competition in Japan, and the International Russian Music Piano Competition in San Jose, California. An active performer, Hu performs extensively in Asia, Europe, and America appearing as a concerto soloist, recitalist, and chamber musician. His recent performance highlights include concerto performances of Rachamninov’s Paganini Rhapsody, Prokofiev’s Piano Concerto No. 3, Saint-Saëns Piano Concerto No. 2, solo and chamber recitals in China, Taiwan, Korea, Canada, and throughout the U.S. Hu’s performances have been broadcast in "Performance Today" through NPR stations across the country and televised in Taiwan, China and Japan. His CD albums "Formosa Caprices", “Complete Rachmaninov Etudes-Tableaux”, and “Trifecta Trio” have received critical acclaim. His recording of Bach Goldberg Variations will be released soon. 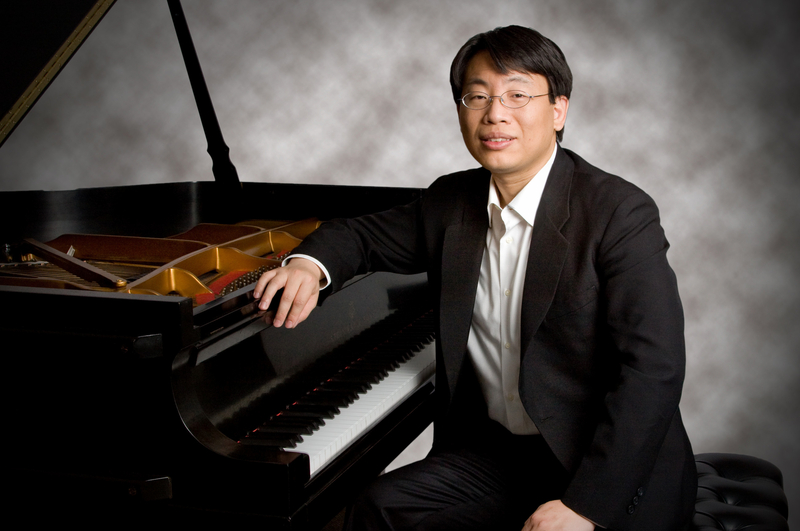 Hu holds a Doctorate of Musical Arts in piano performance from the University of Michigan, a Master's degree from Taipei National University of the Arts, and a Bachelor's degree in civil engineering from National Taiwan University. His piano teachers include Arthur Greene, Hung-Kuan Chen, and Tai-Cheng Chen. Dr. Hu has served on the faculty at East Tennessee State University, and will join the faculty at The University of Tennessee as Sandra G. Powell Endowed Chair Professor in fall 2016.